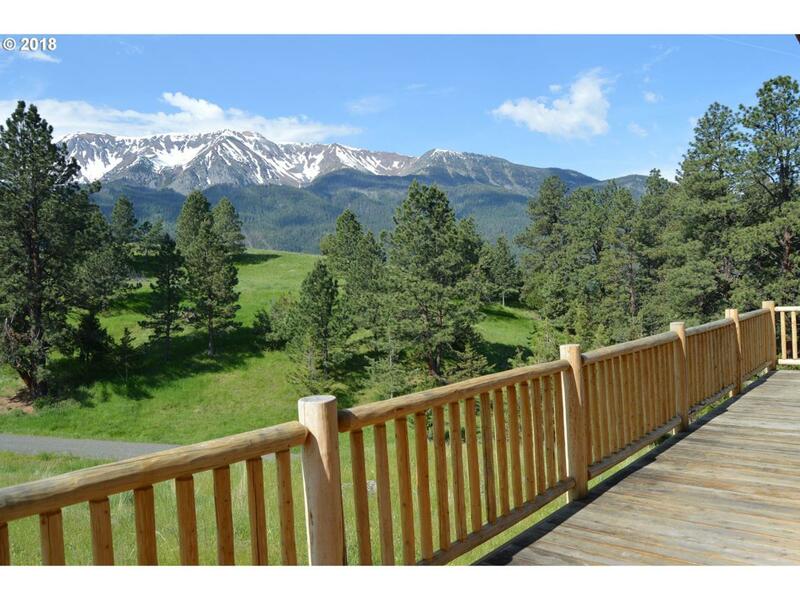 Beautiful log home on 5 acres with spectacular mountain and valley views. 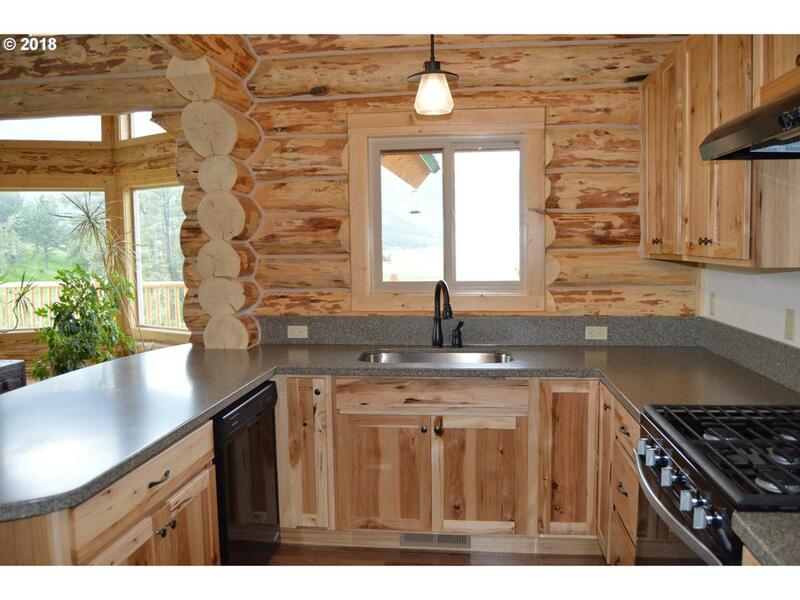 Constructed in 2016, this 3 bedroom, 2 bath home has many special features including hickory floors and cabinets. Ceramic tile was used in the master bathroom shower and floor. 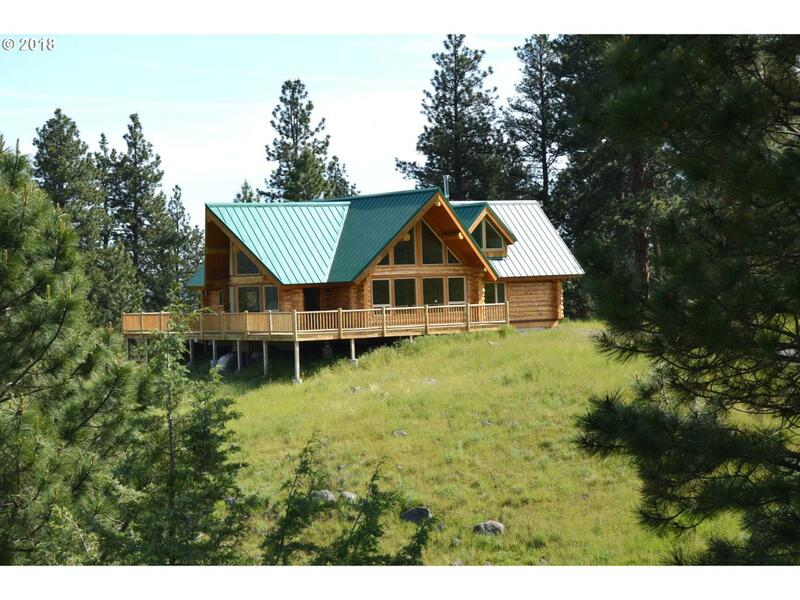 Plenty of storage space is available in the attic and large crawl space. 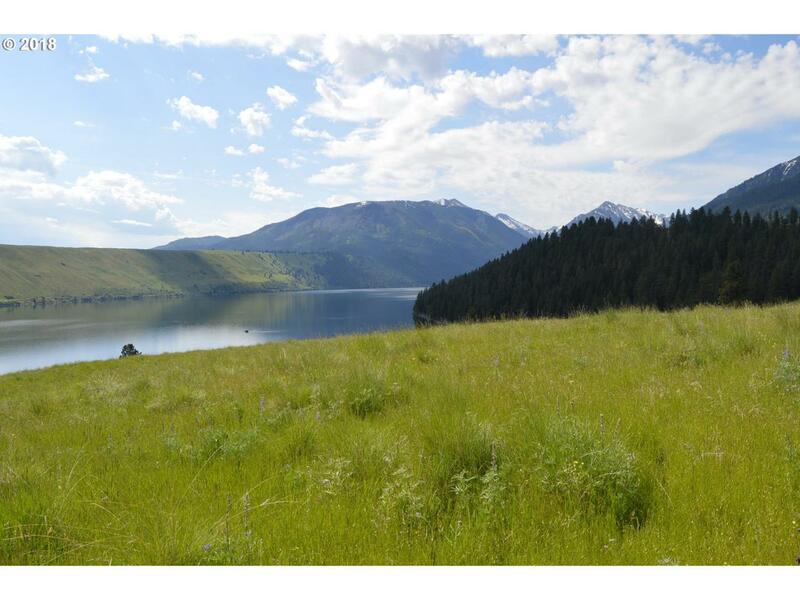 The property reaches the top of the west moraine for incredible views of Wallowa Lake. Lake not visible from house.